What’s the Best Dog Food or Dog Food Nutrition? Nowadays diabetes is very common in dogs. There are two types of diabetes. Type I and type II. Type I happens when the body attacks the pancreas to produce more insulin. When a dogs body doesn’t have a proper amount of insulin then the body is unable to utilize the sugar, hence there is a rise in the blood sugar level. This is a common form of diabetes seen in dogs. Type II happens when the cells are not able to absorb the glucose produced by the pancreas. As the cells are not sensitive enough, there is a rise in the sugar level. This is mostly seen in dogs which suffer from obese. Extreme weight loss or weight gain. Wounds which cannot heal fast. Easily gets the skin infection. As the sugar level is difficult to manage for the body, it eliminates the sugar by urine. As the body needs to eliminate the glucose through urine, so the body starts sending signals to the brain to consume more amount of water. Even though the body consumes a lot of food, the cell is unable to use the glucose produced, resulting in weight loss. These are some symptoms of diabetes. If you see any of these you must take your dog to the vet. The common treatment used for diabetes in dogs is insulin therapy. You need to extremely take care of your dog’s diet. Diet plays a very important role in diabetes. Try to feed small meals in a day two to three times. Small and easy to digest food will help your dog’s body to produce sugar and use it. The most important part is to feed your dog every day at a particular time, in an equal quantity. Make it a daily routine and the key is to exercise your dog daily. You must try to avoid foods which contain sugar or are canned. Foods containing oils and fats must be avoided as breaking down fat is difficult. You must feed your dog foods which are high protein low carbs and less fat, as carbohydrates will be broken down into sugar. Make sure your dog exercises daily, as it decreases the insulin production. The same amount of exercise must be done every day at the same time for better results. If your dog is suffering from obese you must try to gradually decrease your dog’s weight. Weight loss will decrease the need for insulin in the body. But remember the weight must be decreased gradually and not drastically as it may harm your dogs health. 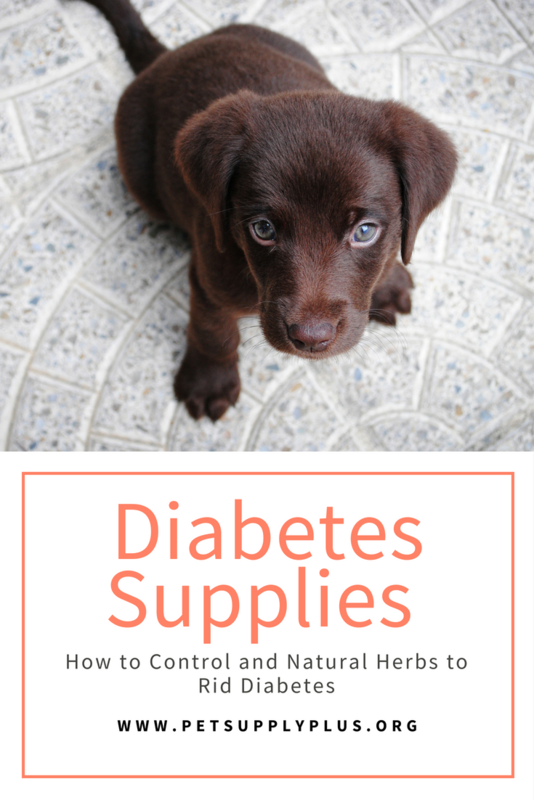 You can use natural herbs and supplements to control your dog’s insulin production. You can use brewer’s yeast. You can also use vitamin E or C as well. Herbs and natural ways can also help strengthen your dog’s weak immune system. Dandelion leaf, alfalfa are some herbs which could be used. You can add a little garlic to your dog’s food, garlic helps to improve the digestive functioning of the body. You can also use cinnamon, aloe vera gel etc. But remember you must always consult your vet before starting any home or natural remedy. Using these tips you can control your dog’s blood sugar level. You can make your dog healthy and happy by just adding few steps and by cutting down unwanted things. The key is to always love and protect him from danger.